The BunnServe 24500.0610 installation service covers the installation of a Bunn POD brewer or C model. Since a factory-trained technician is brought to the installation site, you can be sure the unit is installed safely and correctly. Charges for the technician’s labor and travel expenses are included with the package. Restaurants, concession stands, schools, and other businesses qualify for the program, while large facilities like stadiums and airports are ineligible. 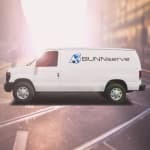 The installation of the unit with the BunnServe 24500.0610 installation program can take place Monday through Friday from 8 a.m. to 4:30 p.m. local time. There are certain site requirements that must be met before the technician's arrival. Failure to meet these requirements can result in additional fees.